Altantuya murder: Will Sirul talk? Why was Altantuya killed? Whose job is it to find out the motive? Abdul Razak Baginda, ex-lover of Altantuya Shaariibuu, speaks to The Malaysia Insider but reveals little…. 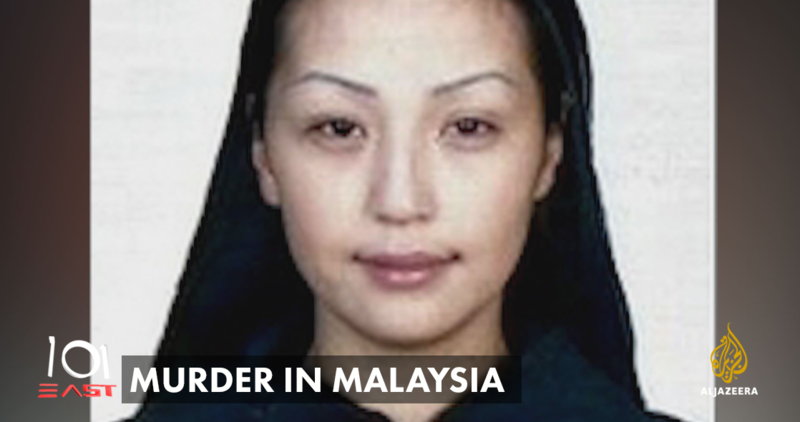 Shocking new evidence has emerged over Malaysia’s most notorious murder case, with the airing of an explosive documentary about the death of Mongolian model Altantuya Shaariibuu at the hands of the Prime Minister’s bodyguards, broardcat on the world news channel Al Jazeera’s 101 East programme today. The gripping and closely documented report by the veteran Australian reporter Mary Ann Jolly contains allegations that the man who shot Altantuya was none other than her ex-lover Razak Baginda, a close aid of Najib Razak, who earlier this year alluded to “rogue cops” being engaged in a motiveless murder. 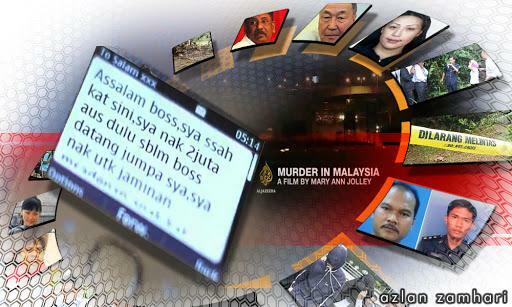 Even more astonishing are text messages retrieved by Al Jazeera from the mobile phone of Sirul Azhar Umar, the man convicted of the killing, which show the convicted bodyguard was blackmailing Prime Minister Najib Razak for millions of dollars to stay in Australia and “say nothing” about the case just before he was re-arrested. This way, said Sirul, “I won’t bring down the PM”! Tellingly, the response from Najib’s intermediary Abdul Salam bin Ahmed was that Sirul’s demand for a total of AUS$17 million was “being discussed”. Salem has regularly visited Sirul, who is being held at the Villawood detention centre in Sydney and is believed to be involved in funding his legal team in Australia. According to the programme, Sirul confided to an Australian relative that the person who had shot Altantuya was none other than the former boyfriend, whom she had been trying to blackmail, Razak Baginda. According to Sirul, his relative said, there were three at the murder scene. Baginda had shot Altantuya, but the two bodyguards had been tasked to then destroy the corpse with explosives. The programme also confirms that there was testimony by the key witness Bala that it was Najib Razak who had originally been the lover of Altantuya and that he had passed her on to Baginda during the course of the Scorpene deal, which has been the centre of a court investigation in France over hundreds of millions of ringgit paid in kickbacks to companies controlled by Baginda. You can watch the half hour documentary that has brought yet another skeleton crashing out of the Prime Minister’s closet – this time it is the fragmented body of Altantuya Shaariibuu. Grand theft is one thing for a politician to find himself uncomfortably more than close to, murder is quite another. Businessman Abdul Salam Ahmad is demanding an apology from international broadcaster Al-Jazeera for calling him a middleman between fugitive Sirul Azhar Umar and Malaysian figures over the murder of Mongolian Altantuya Shaariibuu. A letter of demand was sent today to Al-Jazeera’s representative, Steve Chao in Petaling Jaya, and to the media organisation’s headquarters in Doha, Qatar, for the removal of the defamatory report from the broadcaster’s social media sites and website. Abdul Salam also asked for an apology published in three local newspapers within 14 days. “Failing which, a RM50 million civil suit will be commenced,” read the content of the letter sent by legal firm Akberdin & Co, sighted by The Malaysian Insider. A copy of the letter was also sent to the programme host, Australian freelance journalist Mary Ann Jolley. 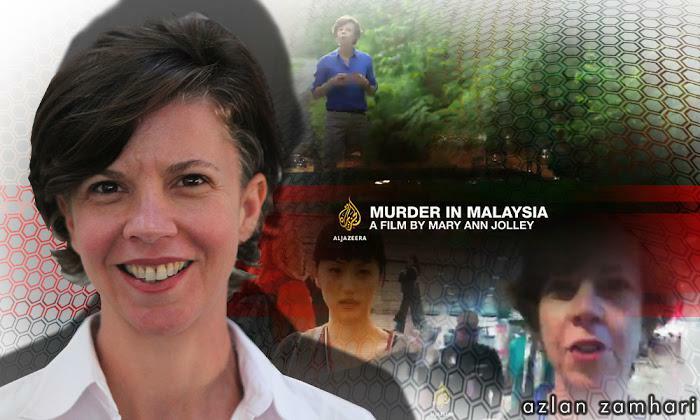 It was previously reported that Al-Jazeera was standing by the accuracy of Jolley’s documentary “Murder in Malaysia”. Abdul Salam last month lodged a police report in Shah Alam against Al-Jazeera, saying the broadcaster had defamed him in the documentary by naming him as a middleman. This meticulously researched, honest and informative book is for you and for all those Malaysians who want to know the full truth about the disgraceful and barbaric murder of a Mongolian girl, who had the misfortune to associate herself with persons which led ultimately to her murder and the disintegration of her dead body, and perhaps her unborn child, by explosion. E.S Shanker has produced a tour de force in terms of research and the comprehensive scope of his enquiries, leaving no stone unturned in his quest to bring to light facts that were disgracefully suppressed and covered up by one of the most shocking examples of interference in the judiciary that Malaysia has experienced in its history. The impact on the independence of Malaysia’s law enforcement agencies has been far-reaching and malign. Encourage your friends to buy this book and support our project and the brave author of this book. This is a digital download. The book will be supplied as a PDF. Jesse: How he can so shamelessly go to the United Nations General Assembly and represent the nation with a straight face and preach his usual hypocritical visions is hard to stomach. There are so many holes in the Altantuya Shaariibuu saga and the unanswered questions relating to the billions of ringgit in his private bank account. Professing innocence and conspiracy alone does not absolve himself from the allegations. To claim an international conspiracy stretches the long bow even further, and he deludes himself as a statesman of international stature. In reality, he is only a chick who loves power and the good life. Anonymous 350791436750385: PM Najib Razak, you claimed you are wrongly accused but how come you are not interested in getting to the bottom of the Altantuya case since doing so will prove all your critics wrong. There is no doubt you have the authority and resources to unravel the truth and yet instead of doing that you try so hard to cover up the entire matter. You assume Malaysians and the rest of the world are stupid but to us it is as clear as day that you are not only culpable but a key player in the saga. There will be no closure on the murder of Mongolian national Altantuya Shaariibuu for both Malaysians and Prime Minister Najib Abdul Razak until there is a thorough probe, said DAP supremo Lim Kit Siang. “Altantunya’s soul cannot rest in peace and Najib can never enjoy unquestioned respect, credibility and legitimacy from Malaysians and the world unless and until there is a no-holds-barred investigation into Altantunya’s murder. “(It must) address the questions as to the motive for the murder and whether there was any mastermind to the heinous deed,” he said in a statement yesterday. Lim was commenting on Najib’s remarks yesterday that the revival of the Altantuya murder is part of a foreign plot to topple him, similar to the toppling of Iraq’s Saddam Hussein. Najib pointed out that Saddam was ousted by the United States based on false claims that Iraq possessed weapons of mass destruction. Lim however said Malaysians were smart enough to ask questions about the murder on their own. “Malaysia does not have a high literacy rate – over 99 percent – for nothing… ordinary Malaysians do not need an international conspiracy to topple the nation’s leadership to be asking these questions themselves,” he said. Sirul claimed that it was her alleged Malaysian lover, Mr Abdul Razak Baginda, who pulled the trigger. Latest twist to mystery over deceased Mongolian model Altantuya Shaariibuu. Another international news organisation has come up with explosive allegations against Malaysian Prime Minister Najib Razak’s administration. News channel Al-Jazeera has published an investigation into the 2006 murder of Mongolian translator Altantuya Shaariibuu that alludes to “massive cover-ups” by senior Malaysian officials. Ms Shaariibuu was killed in 2006 in a high-profile case linked to a submarine deal involving a former Mr Najib aide when the latter was Defence Minister. Mr Najib’s former bodyguard Sirul Azhar Umar was one of two former police commandos convicted of killing model Ms Shaariibuu. In the special documentary aired on Al-Jazeera’s 101 East programme, it was said that Sirul allegedly attempted to blackmail Mr Najib to the tune of AUD$17 million (S$17m). The documentary showed Sirul’s hand phone SMS messages where he allegedly tried to extort Mr Najib for millions of dollars with claims that he would remain “silent” staying in Australia. Communications and Multimedia Minister Salleh Said Keruak has accused Al Jazeera of having an “ulterior motive’ for airing an investigative documentary programme on Mongolian Altantuya Shaariibuu’s death today. Attacking from the word go on his blog posting tonight, the former Sabah chief minister said ‘Murder in Malaysia’ programme is “naughty”, “malicious” and “a sensational story being presented as the truth”. Salleh called it “a rehash of an old story and presented as if it is a current development”. “Why Al Jazeera wants to spin this distortion, some of which are merely lies and speculation, leads to a suspicion that an ulterior motive may be the reason,” he wrote on his blog. The police will investigate Al-Jazeera journalist Mary Ann Jolley over her report on the murder of Mongolian woman Altantuya Shaaribuu. The police chief also dismissed the allegations made in the Al Jazeera weekly programme 101 East, titled ‘Murder in Malaysia‘. The journalist behind Al Jazeera’s special feature on the murder of Mongolian national Altantuya Shaariibuu was deported in the midst of making the documentary. This was revealed in the investigative piece by Al Jazeera’s weekly programme 101 East, and attempts a follow up on a murder mystery that continues to haunt Malaysia right to the top of the political establishment. 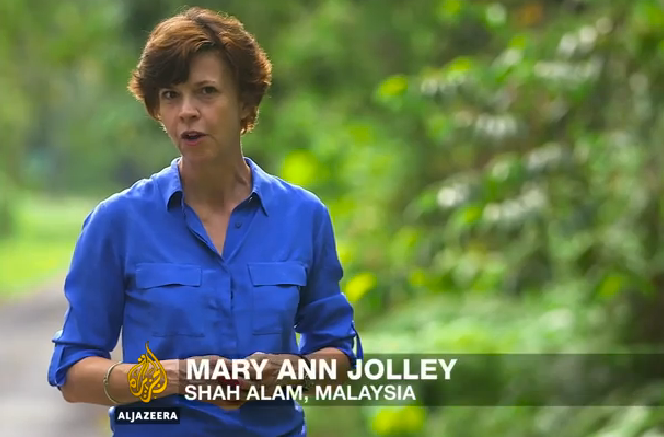 In the course of her investigation, Australian journalist Mary Ann Jolley, who reported the story for Al Jazeera, was abruptly deported on June 14 from Kuala Lumpur after the Home Ministry deemed her activity as having a “potential negative effect on the image of Malaysia”. Jolley’s deportation did not stop her pursuit of the story as she tracked down Sirul’s Australian connection, who related his version of what happened the night Altantuya was murdered. 101 East investigates the sensational murder of Altantuya Shaariibuu and whether the real culprits remain at large. 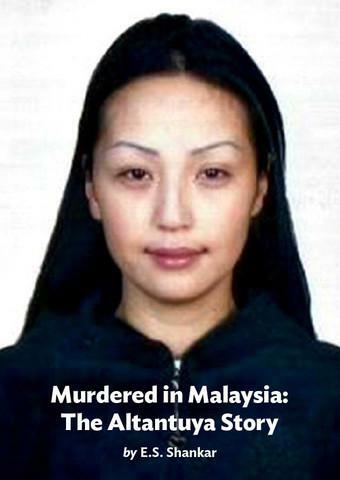 Shot, then blown to smithereens with military grade explosives, the 2006 killing of Altantuya Shaariibuu was one of Malaysia’s most sensational murder cases. Even though years have passed since the young Mongolian’s death, it is one case that has refused to disappear. If anything, the mystery has deepened. 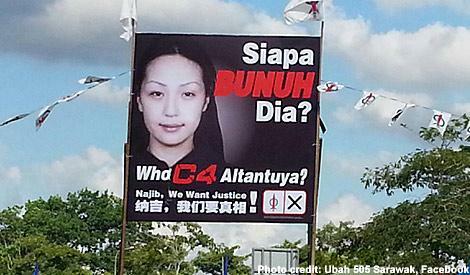 The Malaysian government has responded to a 101 East investigation into the sensational murder of Altantuya Shaariibuu. The office of Malaysia’s Prime Minister, Najib Razak, has released an official response to an Al Jazeera investigation into the brutal murder of Altantuya Shaariibuu, a young Mongolian woman with alleged ties to Malaysia’s elite. “The Prime Minister did not know, has never met, has never had any communication with and has no link whatsoever with the deceased. The two convicted individuals were not the Prime Minister’s personal guards. This allegation is intentionally misleading, and has been used to perpetuate baseless conspiracy theories. They were members of a unit of the Royal Malaysian Police that provides rotating security for government officials and visiting dignitaries. The Prime Minister was not aware of the actions of the individuals until their arrest. Comprehensive legal process has taken place, including police investigations and court trials, including at Malaysia’s High Court, Court of Appeal and Federal Court. The guilty parties have been convicted and sentenced. At no point during any of these legal stages was the Prime Minister implicated, even indirectly. These malicious allegations are therefore also an affront to Malaysia’s Judiciary. Political opponents and their media allies have been trying to attack the Prime Minister on this issue for many years. But there is absolutely no evidence of any wrongdoing, and there never will be – for the very good reason that the allegations are entirely false smears motivated by political gain. The purported French investigation pertains to the possibility of any ‘kickbacks’ that may have been paid by the French companies to Malaysian officials to secure the submarine contract. There were similar investigations into French defence contracts with Taiwan and India. The original deal was signed in 2002. There has never been any communication from the investigation’s judges to the Prime Minister. This entry was posted in aljazeera: altantuya, altantuya, najib razak, sirul and tagged ALJAZEERA: altantuya, Najib Razak, Sirul. Bookmark the permalink.